A Mountain Home man, who was sentenced to 20 years in prison in the late 1990s for setting a series of fires, got more prison time on new drug charges during a session of Baxter County Circuit Court Thursday. Fifty-six-year-old Andrew Esposito entered a guilty plea to his new charges last month and his sentencing was continued until Thursday to allow him to be with his sister when she underwent surgery. Esposito's attorney told the court Thursday his client was requesting the sentencing be delayed even more since the sister was scheduled for additional surgery within the next four-to-five weeks. Circuit Judge John Putman denied the request and proceeded with the sentencing. Esposito was given six years in prison with two years suspended and four to serve. 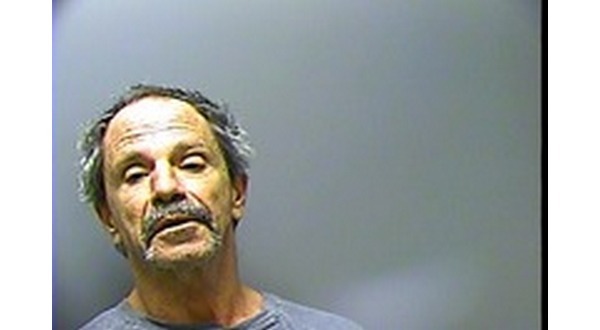 He was placed in the custody of the Baxter County Sheriff to await transportation to prison. Esposito who was on parole on the arson charges until late March last year was arrested about a month later when Mountain Home police responded to a call reporting a woman allegedly attempting to obtain narcotics. The woman was said to be in a vehicle with Missouri license plates. When two MHPD officers arrived on the scene, they saw the female in the passenger seat of the vehicle. When approached by the officers, the woman is alleged to have immediately blurted out she and her male companion, later identified as Esposito, were not trying to sell hydrocodone pills. Esposito, who was in the driver's seat of the vehicle, was reported to be "very nervous and making excited movements." The officers noticed Esposito had a pouch in his lap. When asked what he had in the pouch, Esposito said he didn't know because he had found it. When an officer picked up the pouch, he reported immediately recognizing the shape of a glass smoking pipe used in ingesting drugs. After the discovery, Esposito was placed under arrest. A search of the vehicle turned up a syringe in Esposito's right pants pocket. Another syringe with about 30 cc's of a clear liquid field testing positive for methamphetamine was located, along with a pill bottle belonging to the woman containing a white crystalline substance which also field tested positive for methamphetamine. In addition, hydrocodone and alprazolam pills were found. Both Esposito and his female companion faced charges stemming from the 2018 incident. In the late 1990s, Esposito was sentenced to prison after pleading guilty to charges related to a series of fires he was alleged to have set, including at a Mountain Home motel where he was staying at the time, an apartment complex and several homes. He was initially charged with attempt to commit capital murder for setting fire to a home knowing the resident was in the building. The charge was eventually dropped by the state. Esposito, who underwent a psychological evaluation and was found fit to proceed in his 1990s cases, claimed he had suffered brain damage when hit by a moving train about four years prior to the time of his arrest in connection with setting the fires. In court records, Esposito said one of the reasons he had set the fires was to see the fire trucks and police cars. He described the experience as "exciting." Esposito, who apparently went by the nickname "Drew" said there were two Drews --- an old one and a new one. He said the old Drew was not a very good person, but the new Drew was a "great guy." According to court records, Esposito had a significant history of conduct problems, including setting his own house on fire when he was 9 years old.